Improvement 1st Prize voice got changed. Improvement Every audio got corrupted on Tiff, Bowser, Mikey, Clone, and Kiro. Addition Credits in the main menu. 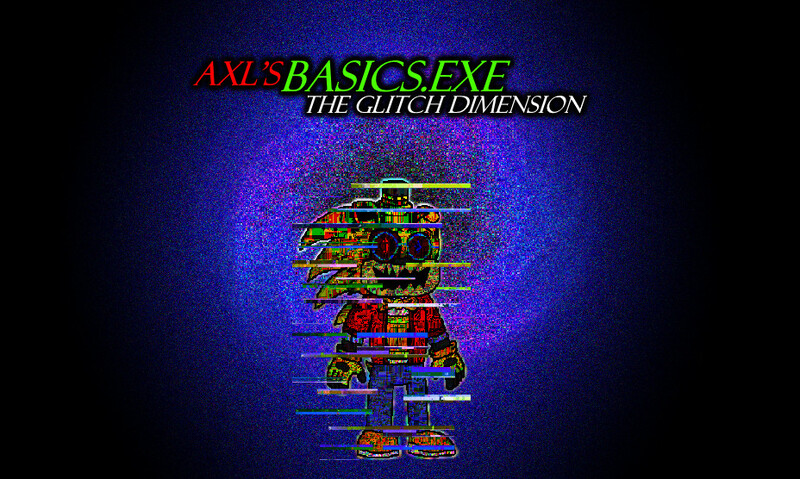 Removal Removing Baldi from the cast, sorry, but Axl replace him. The terror of a glitch. The final mod of the Axl's Basics Series is coming soon. the player and Rory are going to escape this dimension and saving Nickbear from TerrorGlitch. 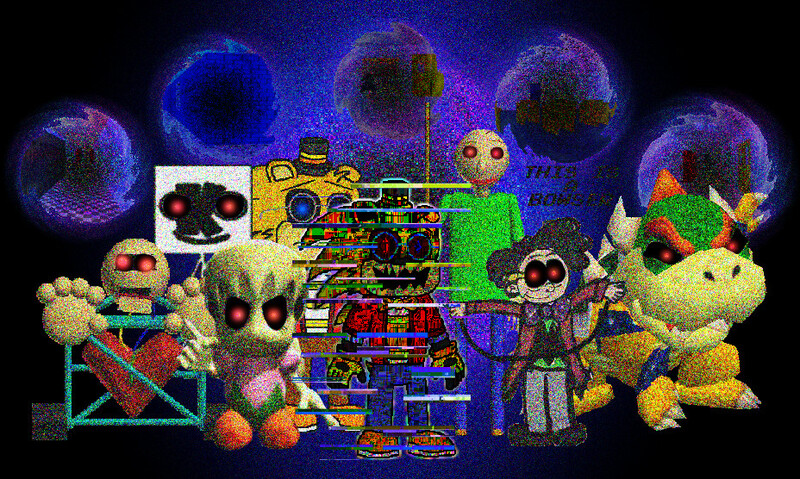 The only thing I need to work is some textures, codes, and audio, and Nickbear gave me some lines for TerrorGlitch, I did my voice lines too, some of the voice lines are finished like Tiff, Bowser, Ethanb0206's clone, and Mikey. LouisVsFrost (Creator of - The School -) also helped me with some audio. Do you think this is the final chapter? So Axl, when do you think the mod is finished?